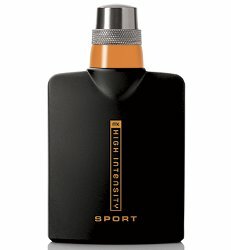 Mary Kay has launched High Intensity Sport, a new limited edition flanker to 2007's High Intensity fragrance for men. Some Dream It. He Lives It. MK High Intensity Sport Cologne Spray is for the rugged competitor who loves a good challenge and dares to live it. He’s a risk-taker … always looking for a new adventure. “Fear” is not in his vocabulary. He’s driven and always pushes through any obstacles. He’s extreme … living life on the edge. He’s bold and lives each day his way. Notes include gin berry, bergamot, liquid oxygen accord, cardamom, mint leaf, violet pepper, birch bark and amber. Mary Kay High Intensity Sport is available in 75 ml Cologne.